A judge has ruled a five-year-old Christian girl housed with Muslim foster carers must go and live with a family member instead. Claims that the girl had been placed with two different Muslim families had led to an outcry and calls for British MPs to hold an inquiry into the case. But, following a court ruling by Judge Khatun Sapnara, the youngster was taken to her grandmother’s house. The judge said councils should seek “culturally-matched placements” for children and told the council to hold an urgent investigation into the incident. Judge Sapnara said it was in the girl’s best interests to live with a family member that would meet her needs “in terms of ethnicity, culture and religion”, The Times reported. Speaking afterwards, friends of the family spoke of their relief, saying that the girl had been put into foster placements where everything was “foreign and unfamiliar”. 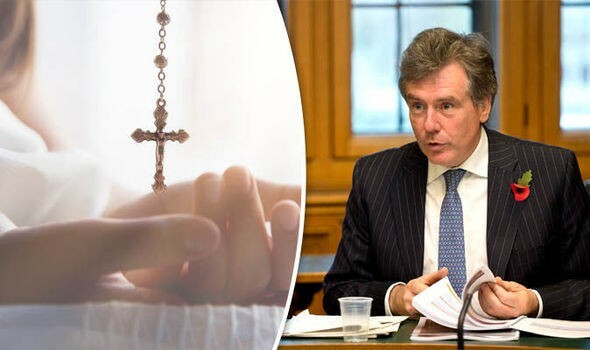 It is claimed the youngster had her crucifix necklace taken away and was told Christian festivals like Christmas were “stupid” by her niqab-wearing carer. The British girl was allegedly left “distressed and confused” after being placed in Tower Hamlets, east London, where she was barred from eating bacon and encouraged to learn Arabic. It is claimed the tearful child had already been placed with one strict Islamic family before being moved to live with another in the space of six months. There had also been reports that the girl’s foster family did not speak English, but that was denied by Tower Hamlets Council in its first public statement on the case. The council also revealed the foster family were mixed race and the placement was only temporary, but said it could give no further details due to legal restrictions. A spokesman said: “Tower Hamlets Council has the welfare of children at the heart of what we do. The decision to choose foster carers for a child is based on a number of factors including cultural background and proximity to promote contact with the child’s family and the child’s school in order to give them as much stability as possible.